In the recesses of my closets and my storage unit, I have my teaching boxes. I know you all have them; boxes of art supplies, books, math manipulatives, holiday/cultural exhibits, rock collections, etc. Well, I was searching through the boxes that held files, mostly files of former student work, but I came across a few 3x5 cards. 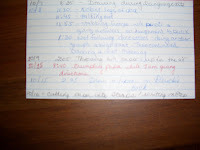 I had 3x5 cards for every student where I wrote down dates and times of disruptive behavior. 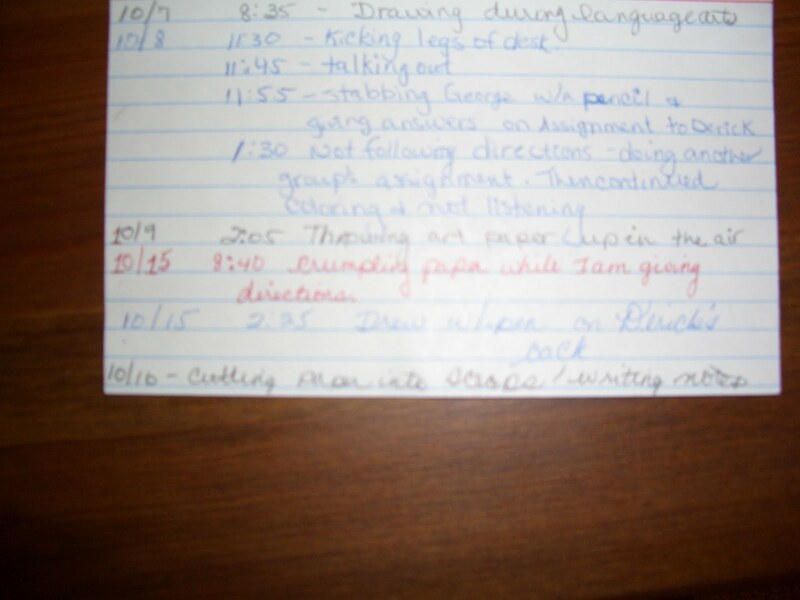 Here are the highlights from 1992 from a student I'll call "Elizabeth". 2:00 Walking around room with paint on a paper, dangling it in front of her and in other student's faces. 2:30 Putting torn up paper bits on Derrick's head. 10/19 11:15 Calling Ricardo "Stupid"
There are more, but at this point, I'm wondering whatever happened to Elizabeth Green? Oh, wait, there's a letter I wrote to her parents also. Now I remember - they didn't believe their daughter could do anything wrong. I had to turn copies of these into my Principal.